The son of rugby league halfback and former Brisbane Broncos head coach Ivan Henjak, Matt Henjak is a controversial Australian scrum-half. Henjak made his Super Rugby debut for the Brumbies in 2004, the same year that he won international recognition with the Wallabies after being called in to their squad following an injury to Elton Flatley. 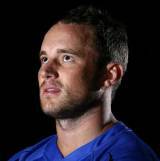 After being sent home from a tour of South Africa following a nightclub incident, Henjak switched to the Perth-based Western Force. Again his disciplinary problems reared their heads, and he was sacked by the club after breaking team-mate Haig Sare's jaw in 2008. There were rumours that Henjak was bound for the NRL, but instead took up a contract with French Top 14 side Toulon.